What are we doing when we do EEG NeuroFeedback? We are Exercising the brain to self regulate allowing you to sleep better, function better , by altering the waves. excersing the brain’s ability to self regulate. Allowing you to have better sleep , better state management etc. How should I best prep myself before using EEG? I recommend during your Brain training sessions to keep your brain in ketosis ( this can very depending as people respond to ketosis differently) Take supplements like Brain octane oil/ caprylic acid to ensure your brain is fully charged on healthy food that it wants. Avoid brain fog inducing dairy, gluten and bad sleep. Make sure you’re well rested so you can obtain the full benefits of an EEG session. You need to have discipline to make this work. You can’t expect cognitive enhancement if your brain isn’t being treated right before hand. 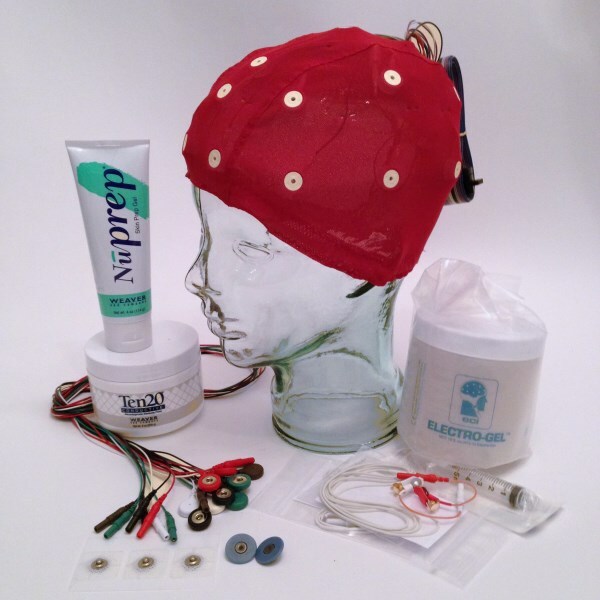 What do you get with the signature Brain Trainer EEG Package? 4 hours of educational system support plus continuous Email support. More often than not immediate responses even after 2 years of purchase. This will be more than enough time to learn how to do EEG neurofeedback by yourself. Stage 1: You pay for the product and they ship it. Stage 3 : You will receive an email of your results followed by a training plan showing you which areas of the brain need training. Stage 4: They will show you via Skype how to work the equipment and you can begin training. Usually each session requires you to stare at a screen between 35 minutes – 1 hour. The learning curve is steep for the first 3-4 sessions but then you should be able to fully function the equipment by yourself after that. Stage 5: Wash and dry your EEG cap and equipment. You will be sent information on how to do this. Why Braintrainer.com over Neuroptimal and 40 Years of zen? Less limitations: 40 Years of Zen lasts for 10 days and Neuroptimal lasts for a 200 sessions. With Brain Trainer’s Neurofeedback EEG system there’s no limitations on the amount of sessions you can do. You can use it as much as you want on different parts of the brain. This is different to Neuroptimal which focuses on altering only one specific part of the brain’s waves. Less cost: Brain Trainer comes at a one off cost of £2000 including the cap whereas Neuroptimal comes in at around £5500 and you’ll have to pay additional after that when you’ve ran out of sessions. As for 40 years of Zen its way more in terms of cost at £10,000 including the inconvenience of having to fly out to the US and the costs associated with staying in a hotel for 10 days etc. The Brain Trainer device can be used by all of the family whereas Neuroptimal and 40 years of Zen are limited to just one person. Brain Trainer’s protocol can be adapted for the rest of your family providing you pay for the additional test to have their brain mapped of course . Brain trainer’s Devices are far more effective than the other cheaper EEG systems on the market like Muse based off a quick amazon search through reviews citing the headbands ineffectiveness as picking up brain wave readings. Felt increased creativity and cognition post-session. 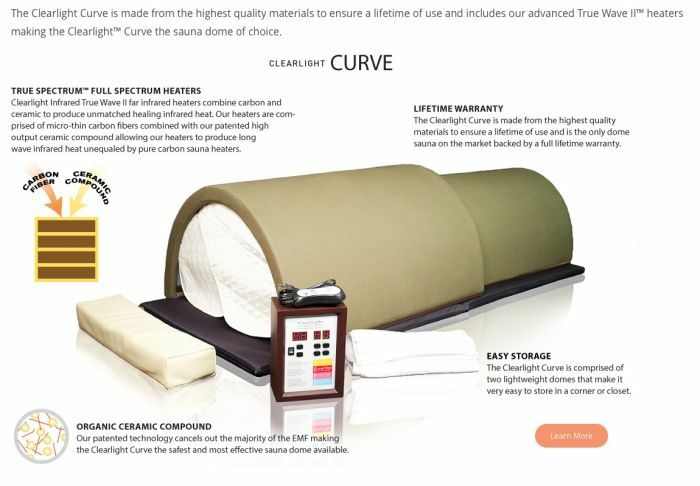 Combined with infrared Sauna this can give you a real zen state. Helped to lower my stress and cortisol. Kills a lot of birds with one stone without the reliance on medication for example it can help elevate some symptoms of depression in people causing less reliance on anti-depressants which are known to have serious side effects in both long and short-term usage. Also can help with several other cognitive disabilities which people often use harmful drugs to correct like ADHD. The support team were very helpful throughout and responding immediately to all my concerns through email. After a while it gets easy to use without any support help. Even for me and I really struggle with picking up new skills Brain Trainer EEG was simple and easy to learn on my own after 5/6 sessions. Combined with HEG it can massively help increase cognition with HEG serving as a good “warm up”. I personally felt that it helped me get the best out of my meditation sessions. Meditation after EEG brain training helped to also massively stimulate my creativity. The system will change your brain activity, once you learn new patterns your brain learns from feedback it will be easier for you to pick up new habits , break addictions and increase cognition. Electrogel did need refilling which can get pricey in the long run. The initial learning curve is steep and will be time consuming. Some will pick it up faster than others but the good support team provided by brain trainer will help you through those growing pains. For me it took about 3 weeks of sessions till I could do it on my own. Very expensive compared to other biohacks. EEG is the pinnacle of biohacking and it costs. Make sure you’ve spent the money on other areas first and foremost before you make the investment in neurofeedback. This includes making sure you’re buying organic food, sticking to a good diet and have good health habits first and foremost before partaking in EEG. This is the last resort biohack and you need to have everything else in order health wise before you partake (as I said before) or you will just be wasting your money. It will take time around 20 1 hour sessions before you can see improvements in your life. Don’t expect massive improvements after just one session especially for those recovering from trauma and serious developmental disorder. Though the initial outlay is a large amount its still only a quarter of the price of a 40 Years of Zen weekly retreat and for this you get an infinite amount of usage out of a product and a support team that’s very reliable and convenient. I would recommend this for anyone with serious ADHD, anxiety/depression problems or just for someone looking for that extra cognitive kick. The literature and studies to back up EEG have been there for decades and its only recently that it’s been made more affordable. So if you can afford it go for it. If its too pricey but you’re still interested in partaking in Neurofeedback I would save up for the HEG first to get a taste of just what biofeedback can do in terms of improving your life. HEG comes in at $850 dollars if purchased from a US site and can increase concentration and focus after just one session. This product has been around for 10-15 years but I purchased it around 5 years ago after shopping on Dave Asprey’s website the Bulletproof store. It was branded at the time by Dave as “The Focus Brian Trainer”. Since then it’s founder Johnathan Toomin has had production problems and has gone off the radar causing the bulletproof store to halt the selling of the product in early 2015 . It can still be purchased online at various outlets though one of which I’ve linked at the end of the blogpost. These are becoming harder to find online due to production being lowered but I still believe regardless of the diminishing media attention and hype around it HEG is one of the most underrated biohacks of our time and something that Im certain everyone reading this can benefit from. How did HEG Brain Training come to fruition? Inventor and neuroscience graduate Johnathan Toomin was inspired by his grandfather Hershal Toomin who invented the “technique” of Hemoencaphalography . He (Johnathan) then planned to move to Bengaluru in India in order to outsource production which would half the cost of the device to $500 this most probably never came to fruition as the price is still at $800-900 with one website in the UK even selling it at £1500. Make sure you purchase off the US site as its far cheaper even when you take into account shipping cost and import tax. For purchasing at the best price we recommend the link below at the end of the blog post . How does HEG differ from other forms of Neurofeedback? 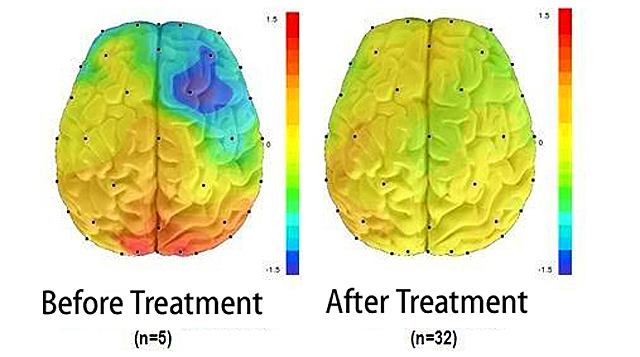 Most neurofeedback is based on measuring EEG or brainwaves. In Hemoencaphalography (HEG) neurofeedback, we’re not looking at the brain’s electrical waves rather HEG detects changes in the brain’s prefrontal cortex. The result is a much simpler feedback signal that’s easy to follow for anyone. It goes up when the brain activates (increases it’s blood flow to the prefrontal cortex) and down when the brain loses focus and deactivates (blood flow decreases in the prefrontal cortex) . None of the complex hard-to-interpret rhythms of EEG, and no difficult decision as to exactly what to train. More blood to the prefrontal cortex of the brain has many benefits with this area having been associated with being responsible for: planning, complex cognitive behaviour, personality expression, decision making, and moderating social behaviour. Hemoencaphalography is not difficult to do, it may sound complicated but the typical neurofeedback newbie can pick it up within 5-10 minutes. Setup is quick and easy and can be done by anyone with or without a neuroscience background. Step 1. Install the HEG Life game ( literally took me about 5 minutes) and plug the HEG into your laptop using the usb that will be supplied to you. Watch at 22:30 where a visual explanation of what happens when blood enters and leaves the prefrontal cortex using HEG. Step 3: Do this for around 3 minutes per site on the prefrontal cortex to begin with EVERY OTHER DAY (as overtraining can cause serious negative side effects) after a month you can move it to 5 minutes per site. As with most biohacks its important to start slow and build up a tolerance . Only one reading to control. Unlike other forms of biofeedback HEG just controls one reading which is the percentage of additional blood going in and out of your prefrontal cortex from the time which you started your session. That’s it! Zero other variables which you have to worry about making it fantastic for beginners who fear they will get too overwhelmed by the complexity of neurofeedback. Easy for beginners to pickup. HEG doesn’t require much to get the ball rolling. Setup will take around 15 minutes including installation. Increased blood flow to the prefrontal cortex which means better concentration and better focus. Helps combat depression and anxiety. Great “Warmup” for EEG, the two used in conjunction can have great benefits in enhancing cognition. Though the headband does look a bit a flimsy it’s actually well built and is sturdy enough to last a long period of time I’ve personally had mine for 5 years . Can be used infinite times for friends and family. There’s no brain mapping required like with EEG and no “limit to 200 sessions” like with Neuroptimal. .
Can be used all ages. Hefty price tag compared to other biohacks coming in at around $850 UK readers will obviously have to pay a steep import tax in addition to this and high shipping costs. Lowers Alcohol tolerance in some people of which I can say I personally felt that hangovers got worse after using this device but it’s an unfortunate trade-off some will need to make. I also strangely experienced getting drunk quicker after HEG sessions. So I think it’s best to cut out alcohol while using HEG. Overtraining can have some negative side-affects these include headaches and anxiety. Make sure you don’t overtrain and over stress the brain as I said before start low with 3 minutes per site and then move up to 5 minutes per site every other day after around a month’s training. Far too many people overtrain when it comes to HEG and it’s just not worth it. You do actually have to “work for it” and learn to train your brain and this does require effort to focus on the screen in front of you unlike EEG which requires 0 mental effort during a session. We all want the blood flow in our prefrontal cortex due to the obvious benefits of it especially in our hectic lives which are driving our brain’s insane with decision fatigue and destroying our willpower reserve one Instagram click at a time . HEG is simply the best at replenishing willpower reserve and if you have a spare $800 lying around I would seriously contemplate buying one of these. The cumulative effects of being: More organised, less tense/more composed and able to concentrate more will yield more than $800 worth of benefit in the long run. Despite it being somewhat forgotten about in the biohacking community I still think it’s the best “biohack” out there in terms of returns of investment and should be seriously considered by all. It can be tough to maintain health and wellbeing when travelling but luckily for our blog readers we’ve drawn up a list of the Top 10 Bio-Hacks you can use for travelling the developing world. All of these have been tried and tested by me and have had a profound effect on my travelling experience. 1. Replenish your willpower reserve using HEG Neurofeedback . Travelling requires a lot of focus and attention for obvious reasons but when you’re in a new place traveling can a huge burden on prefrontal cortex and before you know it decision fatigue will be destroying you and .Often we give into sugar urges, temptation to drink a lot while travelling and numerous other bad habits caused by a depletion of willpower reserve. 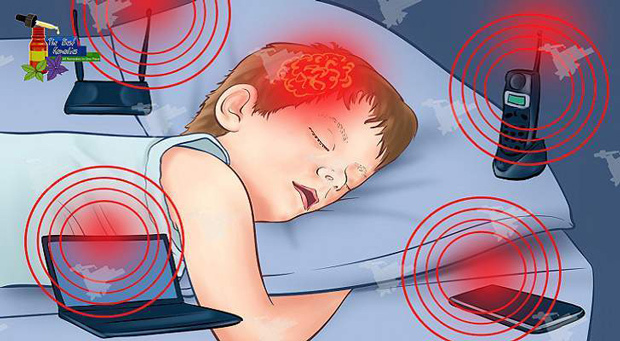 The way to combat this is using the Hemoencephalography Brain Trainer. As written in my other reviews this is by far the easiest way to get blood in the prefrontal cortex of your brain and thus replenishing your willpower reserve. So whilst your brain is getting used to the stresses and strains of travelling in a new area the HEG will get that blood back in your prefrontal cortex which you would’ve lost due to the amount of new decisions the brain needs to make when entering a new area. Avoid eating all raw foods when you travel – foods like sushi can carry parasites which are a burden to remove from the body. Always eat freshly cooked foods and avoid buying any foods sold on the street market we know you love trying the “culture” but most of the time if you’re in South East Asia or Latin America this food has been left out for a long time or might be infested by parasites so don’t eat it. The short term pleasure of a few good seconds of mouth feel is not worth the potential devastation to your health parasite infections can cause. Avoid eating any fruit or salads as well. Eating a salad might just be the least “bulletproof’ thing you can do on your travels. As often these are washed with tap water. I personally sustained terrible food poisoning in Thailand after eating what i thought was a healthy option ( a chicken salad) even if you don’t get sick directly you can still pick up parasites who’s effects will impact you more discretely than you think. Don’t put yourself through this pain and cook your meals yourself. Yes it takes extra time and yes it can deplete your willpower but the damage saved by doing so is far greater than the damage done by eating food infested with vegetable oils. 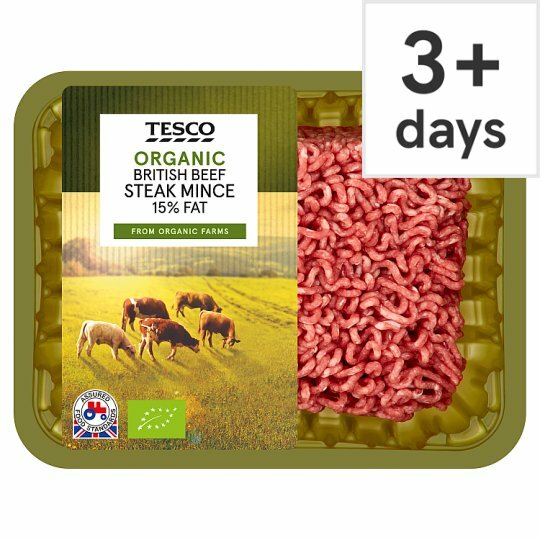 When prepping meals try and go organic especially if you’re in countries which are known to use a lot of fertiliser on their vegetables for example Brazil. I would pick foods like Avocados which even grown non organically have low levels of glyphosate fertiliser on them. Wild plant foods can contain as much as 24 percent fat greens such as kale spinach and wild grasses contain alpha linolenic acid the building block of the omega 3 fatty acids which is why grass fed animals contain 6 times more anti inflammatory omega 3 fats than their grain fed counterparts .Animals labeled as organic often are also fed grains like corn and soy and even though these mixes are technically organic we still need to remember that grain is not the natural diet of these creatures. Indonesia: – Tourist Hot spot Bali had Anchor butter everywhere and major supermarkets of Jakarta sell them too. Panama : All major super market chains in Panama City sell grass-fed butter. 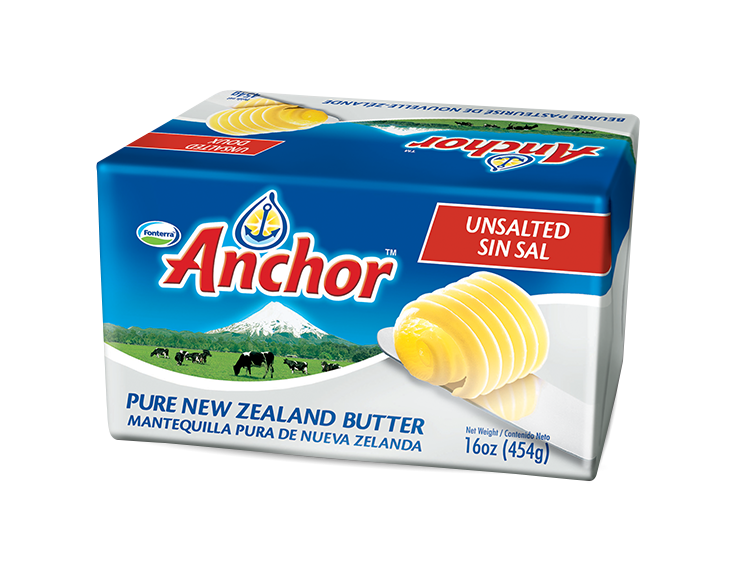 Belize: Whilst Belize City doesn’t sell anchor butter the popular tourist island of Cay Caulker does. So far these are the countries I’ve been to which have had grass fed butter available . You should check the farming practices of the country before you visit them and judge if their meat is worth eating. Latin American countries like Columbia and Argentina for example have nearly all grass fed meat because its cheaper for them to have cows that are grass fed rather than lock them in a cage and feed them grain like we do here in the UK with most of our animals. 6. Stock up on Paleo Bars/ Bulletproof Bars before you go. For my last trip to Myanmar i actually just stocked up on bulletproof bars before i went because the local food was just so greasy and nearly all deep fried. If you’re travelling for a short period of time why not just take your own food. For a 1-3 week trip it’s easy just to take some nutritious snack bars and then eat them combined with bulletproof coffee which is easy to make as long as you got your own frother and you’re good to go. This will mean you don’t have to eat any of the local food which will be most ideal because in most countries in Central/South America/ Asia they cook foods with a lot of high omega 6 oil, gluten and MSG. It’s best to be self disciplined and prep your own food at all times and nothing saves time and keeps you on track than a healthy bar. CAUTION: The above two contain a lot of coconut oil which can cause loose stools if over-consumed. Eat around 2 a day maybe one if you can’t tolerate Brain Octane oil well. Start small and build up , please don’t have your bowels on my conscience. Even if you’ve been cautious about what you’ve eaten during your holidays parasites can still find a way through and they can be having an impact on you without you realising. Though this is getting exceedingly difficult as more and more planes are having WIFI. 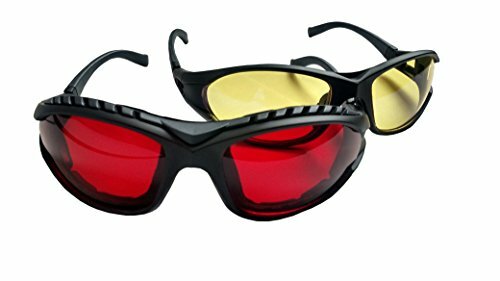 Try and start with the easiest protect against light EMF with blue light blocking glasses. Flying on older aircraft mean less likely the plane will be equipped with WIFI. Keep Cell phones on aeroplane mode etc. Don’t order any drink with ice in it. While this is classic bread and butter travel advice it has serious reasoning behind it. The ice used maybe dirty water and this water can carry parasitic infections. Drink Glass bottled water: Drink actual natural mineral water from a glass bottle that will be low BPA to protect your testosterone levels. Avoid the cheap water bottles that are high BPA and low in minerals. Yes its cheaper but its harming your health! Stick to glass bottles no matter what the cost. What’s in the box? 60 Servings per container of serving size 2. This is the latest and most recent product made by Microbe Formulas a company that specialises in parasite cleanse supplements. There are quite a few new anti-parasite supplements coming out in the US which have proven to be very effective such a Paratosin and Scram. This supplement contains a proprietary blend of; Vidanga, Neem, Triphala, Clove, Holarrhena and a bit of the unique bioactive carbon complex the company has patented. Other than Clove I hadn’t heard of most of these herbs so I was excited to try a blend that offered something completely new. Up until this point id taken the bare bones basics that most people parasite cleansing in the UK take: Ashwagandha, black wormwood, Siberian Ginseng all of which had been very easily obtainable in the UK. Even though I do love the product everyone reacts differently. Please be cautious and contact a holistic doctor before doing parasite cleanses. 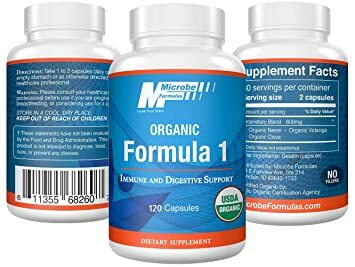 Some people’s lymphatic system and kidneys will need additional supplements to support them during the cleanse and Microbe Formulas sells these for UK people the ingredients in the products can be bought separately online on Amazon. These are : MarshMallow Root, Milk Thistle and NAC (N-Acetyl Cysteine) to name a few. Everyone situation is different so please don’t take my review as the be all and end all of this product. 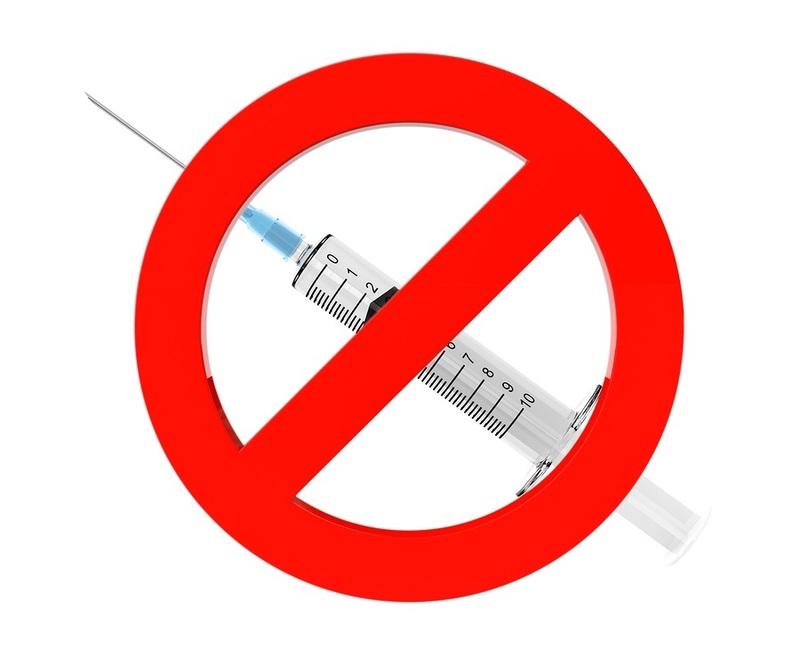 For best results take with coffee and water enemas make sure you have a clean diet low sugar and are following protocols to avoid parasite infestations during the cleanse these can range from not eating sugar to not eating Sushi which is parasite-laden. I recommend following the bulletproof diet infographic by Dave Asprey to ease the stress on your gut during a cleanse a lot of people recommend going Vegan, avoiding red meat and juicing but I’ve decided not to go down this path. Epsom Salt baths too helped me a lot when dealing with detox symptoms so ensure you add that in if you see die off symptoms on the skin of acne, swollen lymphs etc. occurring. This supplement was well and truly effective. I saw results and worms in my stools within 5 days of using this product. Unlike the organic Ashwagandha, black wormwood products and oil of oregano none of them were really as quick acting and potent as this. It was nice to see a product having an instant positive impact on me. Felt some improved sleep quality. I actually enjoyed deeper sleep while taking this supplement which was a big plus although some nights I did have nightmares which are often a side effect of parasite cleanse being effective. You’re getting 6 herbs/binders that are really difficult to source in the UK. Yes, 35 dollars is expensive for a supplement but across 60 days you’re looking at 58 cents a day for high-quality organic ingredients which I believe is good value. Added to the time you will save knocking back all these supplements individually and I believe its great value. Taking them all separately will create the pain of having 10-14 tablets daily as well as quality issues with buying individual products in addition to this the price of buying these separately for £40-50 anyway so it about evens out price wise even if you include the shipping. 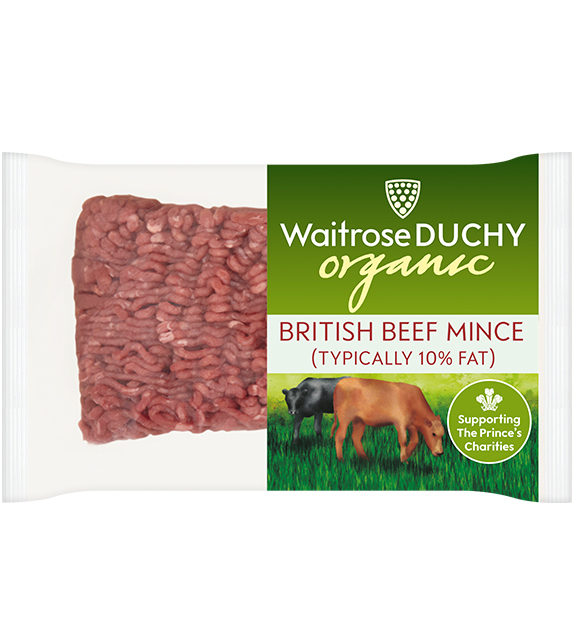 Herbs in this product are pretty tricky to source in the UK. The Neem and Triphala products have no review on their effectiveness. Can be lighter on the digestive system than other products like black wormwood which have shown to do damage to the gut from long-term taking them more than 30 days. No fillers, a lot of junk supplements in the UK come with additional Magnesium Serrate or other crap like that. This supplement had nothing but the herbs which is a refreshing change given that even many high-quality supplements I’ve sourced from the US still have a lot of junk fillers. Judging by anti-parasite groups and facebook networks this product has been a hit. Having examined the posts it seems that most people have passed a lot of worms with this product. I haven’t seen such positive reviews for anything else out there so far. Saw a lot of worms in my stool after 4 weeks of taking this. The length of progress varies for everyone and everyones situation is different but I recommend taking this product for at least a year in conjunction with enemas and a clean low sugar diet. Noticed my sugar cravings went down after two months of using this supplement most probably due to having fewer parasites in my system. This has helped me on my focus, increased my willpower reserve and caused me to enjoy extra energy. 25 dollar shipping is a lot of money to pay for a supplement I would actually recommend buying several of these as well as the Mimosa Pudica seed supplement too so that the shipping is paid one off rather than repeatedly. When doing cleanses you’re going to have to take them for around 2-6months at a time in order to see longterm results and preventing regrowth so I’d definitely bulk pay if I’m ordering from the EU. UK users who order above 100 dollars will most likely be hit with a high import tax. Results can vary. Some see results instantly from the first few days taking it whilst others see them much further down the line. So it’s important to note that this can get quite pricey after a while you’re going to have to see this as a long 1-2 year investment. So all in all you are looking at around $400 dollars a year for taking this supplement plus the shipping fees makes this expensive in the long run for UK readers. Can leave you a bit constipated if not taken with accurate gut support. After a while, you will need to take more of the supplement to see effects for some people and this can get pretty pricey. Increasing dosages from 2 capsules a day to 4-5 is recommended for those who don’t see results. The effectiveness of Microbe Formulas makes it one of the most impressive supplements I’ve ever used so far for combating parasites. View consuming this in the long-term perspective, doing anything from 2-6 month cycles then take a break to allow your body to recover (Depending on what parasites you’re fighting as some will require longer cleansing periods than others. ) Even if you’ve tested negatively for parasites it is still worth buying a few months worth of this product just to see what comes out especially if you’ve been living in abroad as (I have in South East Asia/South America/ Africa and Iran). Even living in the UK though is water may not be as toxic as the US in terms of pollutants I think a parasite cleanse is still necessary and that these products used in conjunction with appropriate support for the gut are a must. Many of the doctors who spoke at the parasite summit this year praised the product and saw massive changes some that occurred instantly within 4-5 days others happened years into the protocol. It can take time, but with detoxing patience is a virtue and I believe Microbe formula 1 is the key component to the armoury in combating against parasites. Released earlier last year the Mimosa Pudica supplement is plant-based supplement designed to bind onto parasites in your system ensuring you end up pooping them out. Mimosa Pudica supplements have been hard to get hold of in the UK so this product is one of the few out there that can be used in conjunction with various other anti-parasite formulas to good effect. This product is 100 percent organic Mimosa Pudica and nothing else. For US buyers I think this is good value as you’re looking at $45 dollars for 60 servings which is not bad all in all. 2 months supply with each batch + shipping from the UK. No other Mimosa Pudica product like it in the market in the UK. Lots of positive responses on the Facebook Groups as well which are linked below. Depending on people’s digestive system some will experience constipation when taking this and it can be hard on your gut. Conclusion: One of the most effective supplements I’ve taken but people should use with caution I recommend UK users to supplement with Milk Thistle, NAC and Marshmallow root or you can just buy the Kidney and Liver detox and take it 2 months prior to starting your parasite cleanse. Everyone’s body is different so please consult the Facebook groups below for more information on parasite cleansing. Liver and Kidney support:https://microbeformulas.com/collections/all-products/products/kidney-liver-detox a lot of these supplements helped with constipation during the consumption of the product. https://www.facebook.com/groups/1455869871357350/ Parasite Cleanse success stories group- Again a great level of knowledge on here, loads of people with years of experience cleaning. A revolutionary supplement for mind and peace or daylight robbery for Dave’s most loyal customers? Dave added a bunch of new supplements this fall. The newly coveted Zen Mode being one of them which is surprising seeing as he already does a lot to keep calm and cool during the day after investing thousands in neurofeedback (40 years of Zen which comes in at around ten thousand dollars) and already endorsing several meditating enhancing products. So Zen Mode came as a shock to me that he even needs something else to add even more Zen to his “Zeness “. This is his most expensive supplement per serving so is it worth it? 45 Tablets 15 servings in total you’re getting some: Holy Basil Leaf Extract , Ashwaganda, Saffron Stigma Extract , Zembrin. Then in conjunction to this Dave Asprey has patented a “Bulletproof zen blend”. Thrown in there you already ge:t L- theanine , vitamin B 6 , Gab , 5 HTP. Its not quantified what quantity of which is in this supplement unfortunately .Which was quite surprising to see Vitamin B6 on here as Dave has in the past on his podcast criticised supplements which have had individual B. vitamins in them saying that over supplementing certain B vitamins can damage the brain he has described nootropic companies who do this as careless but has seemingly now done this in his own supplement. Make sure you test your B-vitamin deficiencies before you supplement vitamin b6 or any B Vitamin for that matter. Convenience is King and with Zen mode its certainly the case you’re getting a lot in this thick pill.10 Supplements in one saving you time having to take 10 individual supplements some of which can be harmful in large doses for example 5-HTP and Gaba. Each individual supplement has been backed by research to reduce stress. Some a lot more than others. Additional Ashwaganda and Holy basil leaf can help with parasitic infections although I don’t know if the quantity is enough to have a significant impact (probably not) as the pill doesn’t weigh enough for there to be a large amount of these present. Priced at £45 of a supplement you’re meant to take 3 capsules of the 45 a day meaning you get only 15 servings coming at whopping £3 a serving this is Dave Asprey’s most expensive supplement yet actually more expensive per gram than Smart Mode and with arguably cheaper ingredients. An outrageous price and is it justified? It’s difficult to quantify . It seems to some extent it could be Dave taking advantage of his loyal fanbase that simply buys everything that he puts his name on and whilst i admit I found a small increase in creativity with smart mode its difficult to quantify the impact Zen Mode had on me given that I already have “zen” due to meditation and infrared sauna both which massively reduce cortisol and stress. The pills are pretty big and was the same with Smart mode these are thicker than previous supplements on Dave Asprey’s Bulletproof range. I believe some older clientele 60/70 years plus will have genuine problems swallowing these. I actually had supply issues with both supplements before testing them out my Zen Mode had leaked originally and so did my supply of Smart Mode.My second batch of Zen mode in addition had leakage problems too. A few of the supplements in the blend haven’t had the best reviews. Zembrin has had bad reviews on Amazon with a users citing no change . The scientific literature backing its consumption analysed just 16 people in South Africa i don’t believe the data set is large enough to draw conclusions about it’s effectiveness.